One of the victories mentioned was that of the Otomí community of San Francisco Xochicuautla in the State of Mexico. After years of organizing, in February a court suspended the expropriation decree issued by the federal government for a highway to be built through their forest and town. The community celebrated, but in a case of foreshadowing, said they would not rest until the entire highway project was canceled. The state emphatically made clear that the project was still on, when on April 11th it besieged and invaded the town with 800 to 1,000 riot police. 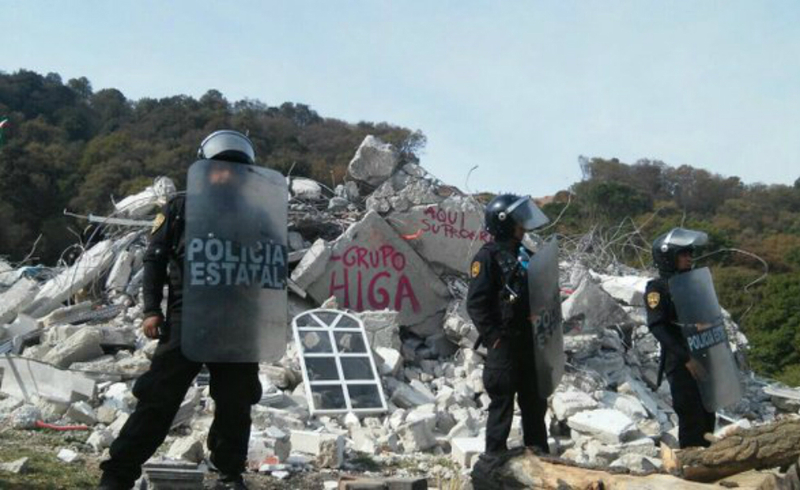 In complete disregard for the court ruling, the police escorted in heavy machinery belonging to Grupo Higa (the owner of which is a close friend of Mexican President Enrique Peña Nieto), that began clearing land for the highway and also demolished the home of one of the movement’s leaders. 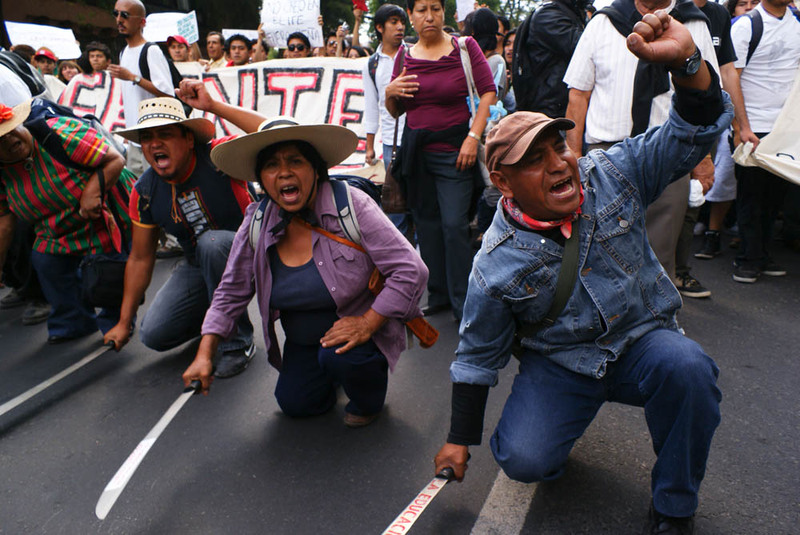 The solidarity extended to Xochicuautla was powerful and immediate, which included the Zapatistas and the National Indigenous Congress issuing a “Maximum Alert” both for Xochicuautla and Ostula in Michoacán, due to an ambush against the Community Police of that autonomous Nahua community, which killed one. This seemed to catch the state off-guard, as on April 13 they ordered the construction be stopped and promised to pay for the damages. But they also said they would be leaving a number of state police nearby to guard the machinery in the meantime. In response, the community has organized 24-hour patrols in case of renewed construction, and the situation remains tense.